I am more than grateful for your prayers, as I am in deep trouble and urgently need your prayers. I've come to you before and your prayers have offered me so much comfort. 18 months ago, a medical mistake caused me to have a stroke. I moved back to WI to be with family and have clawed and scratched and prayed my way to get back to my beloved Seattle, where friends are my family and work is available to me. The illness caused me to file bankruptcy because my insurance refused to pay. And it is haunting me terribly. With all this in mind I rented a tiny house in a not-so-good area. It has been a nightmare. Bug and rat infestation, the smell of pig urine, because the owners had a pet pig who relieved herself at will and it saturated the subfloor. Several days ago, the sewer backed up in a huge way, into the house, because the owners had not taken care of business. And yesterday, the cleaning crew (that I had to hire myself), discovered that the floor is tiled with asbestos. I am beside myself and very very scared. I have tried and tried to get another rental but no one will even talk to me because of the bankruptcy. Could you PLEASE, PLEASE, PLEASE pray that I find a clean, well-cared-for home at a reasonable rate so I can finally get on with my life? Please know that you will also be in my prayers. Thank you so much. One thing that can help ANYTHING is the Roman Catholic Mass. Attending a Mass with personal intention for this person that God will help them to calm down, whatever is causing their antagonism could be demons attacking that person, could be mental illness, could be their own fears about their own financial situation having to stay in such a place as well, family problems, etc etc I don't mean to preach, I have situations where I live where I am even afraid to go to the laundry room to do laundry because I was attacked there at least once and maybe more often. Plus because of some people's attitudes I try to be home and IN my apartment by 6:00 PM and not go out again, so please believe me, I sympathize completely. Also, you can gain almost all the help you want for anything by praying novenas of the Rosary, obviously a 9 day novena, but there is another novena. It is the 54 day novena. even if you have not received any answer yet! This part may be to test our faith the God WILL get around to it at some point! One family had a child that was dying and the Blessed Virgin Mary appeared to them and told them to pray this 54 day miraculous rosary and the child lived! (sounds like one for your ill mother might be a good investment right about now too, even if she does not live, at least she can feel the peace of Christ) and a mass for the person that is bothering you where you live, for that person's ancestral family tree. Apparently lots of demonic activity and mental disorders and "weird behaviour" can come down through the bloodline in some spiritual way most of us don't understand. But the Mass can break that transmission and heal the people and you could see immense improvement from that person. A Mass for your own ancestral family tree could also help you and your mother especially at this time with your mother so ill - it could bring healing or at least great graces, much needed under your circumstances. In fact, in typing it to help you, I realized that these are things that I should do for my own situation, instead of just bemoaning it like I have been! So thanks for sharing, so that we who aim to help you can also see what might help us! Oh and for a new place, many people get help by praying that St. Anthony will "find" them a new place. Specify exactly what you want, e.g. free of rodents, bugs, mold, any infestation, reasonable price, clean, enough room, close to wherever you need to be including to visit your mother, quiet peaceable cotentants, reasonable price, etc. etc. The more specific you are the more you will get a place exactly as you like! Praise Jesus Christ Who is God! 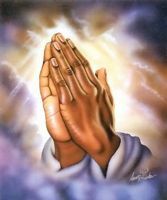 As I prayed for you just now, the Lord has touched me and I was assured that he will help you to find another houre. He is going to heal you and change your life so that you can serve him to the fullest of your God-given potential. I too, once lived in a small, dark room at the back of someone's house in a harbour town and I was night after night plagued by these huge black harbour rats! They even tried to share my bed. Sometimes the lord brings these things upon us to open our eyes to the plight of others and this is just what has happened now to me. Now that I have asked him to help you I can truly say, thankyou Lord for what you made me suffer that time. God bless you Penny. Just stretch out your hand and say thankyou to God for help is already on the way.